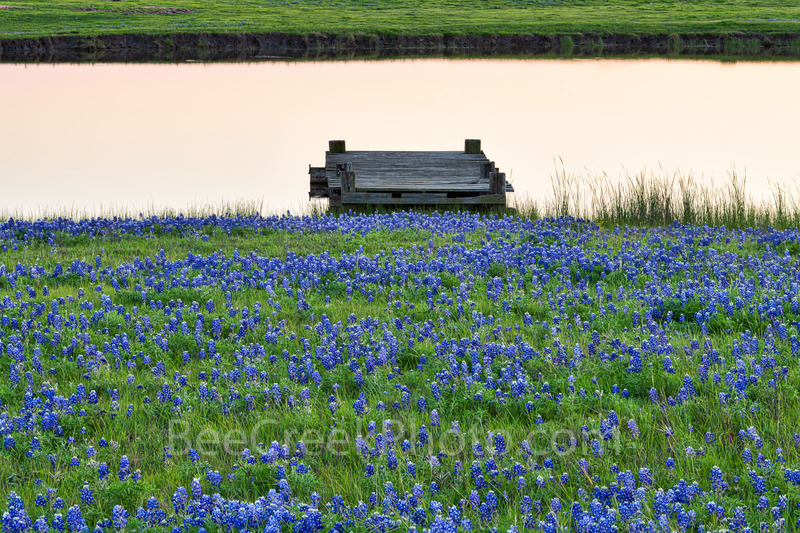 Texas Bluebonnets at the Farm - The Texas bluebonnets lead up to the waters edge with pier on this pond at this farm around dusk. The rancher farmer came by and waved as we set up to take this image. We thought it made a nice image with this water feature and bluebonnets in the rural texas setting. Photo © copyright by Bee Creek Photography - Tod Grubbs / Cynthia Hestand.